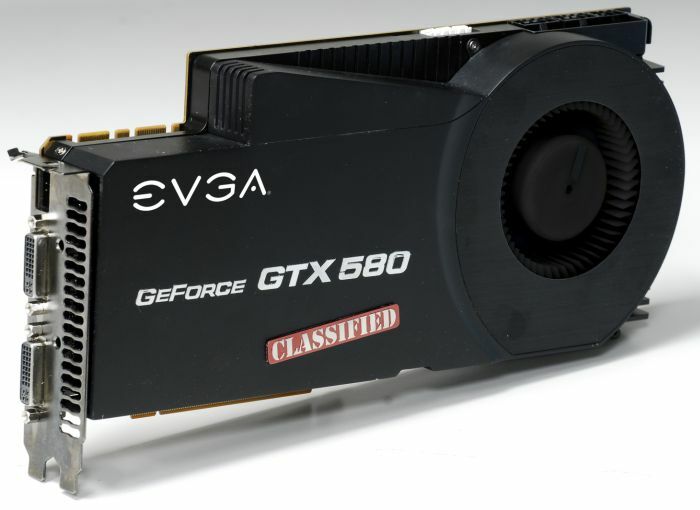 This GTX 580 is EVGA’s reply to ASUS’s Matrix GTX 580 or MSI’s N580GTX Lightning Xtreme Edition. 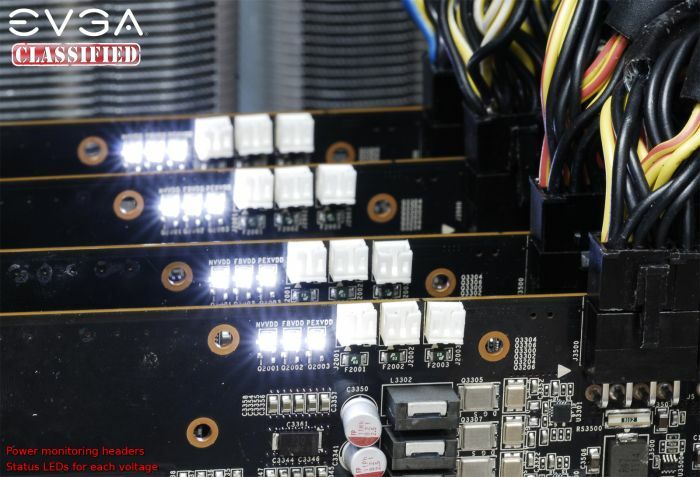 The GTX 580 Classified features two 8-pin and one 6-pin power connectors. The max power draw allowed by this configuration of power connectors is 450W (see here for details). ASUS’s Matrix max power draw is only 375W! 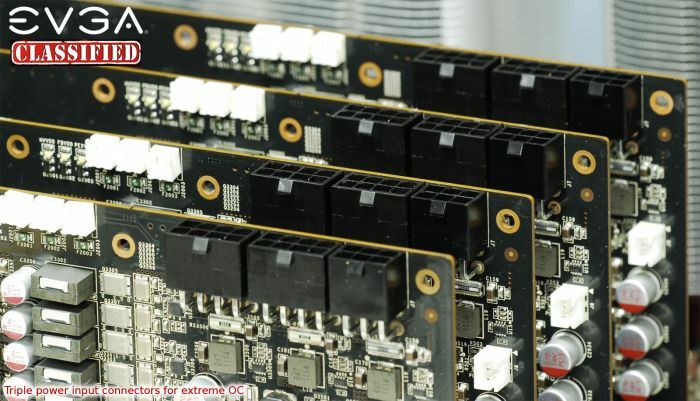 I think this GTX 580 Classified, like ASUS’s Matrix, has no power limiter (read no FurMark limiter!) and then will offer nice overclocling capabilities.